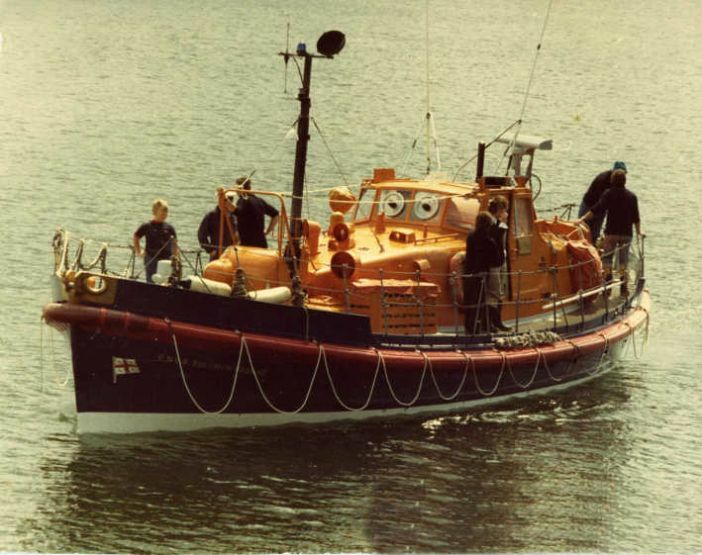 On 19 December 1981 the lifeboat Solomon Browne and all her crew of eight Mousehole men were lost while attempting to rescue the crew of the Coaster Union Star. 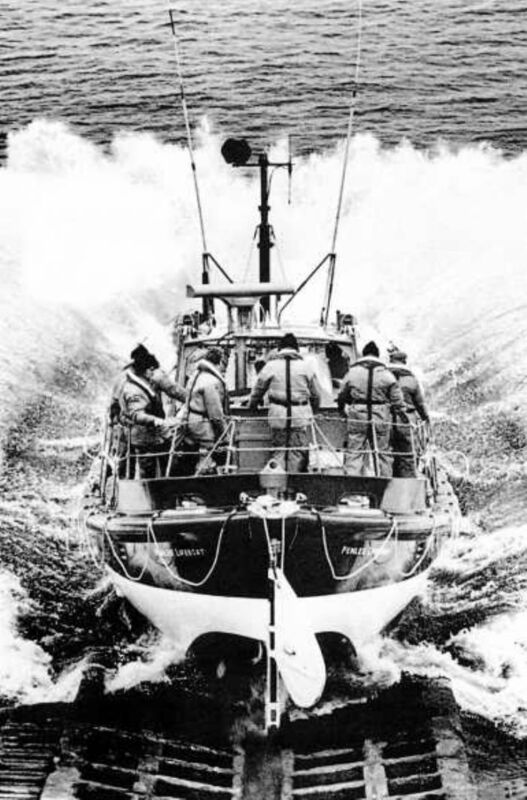 The Solomon Browne was the Penlee Lifeboat and stationed at Penlee Point from 1960-1981. On that fateful day, the Union Star had engine failure eight miles east of Wolf Rock Lighthouse. She was heading towards the rocks and certain disaster. The appalling weather conditions with hurricane force winds made a helicopter rescue impossible so the lifeboat was called. The risks were known to be high so no two members from the same family were allowed to crew the lifeboat. 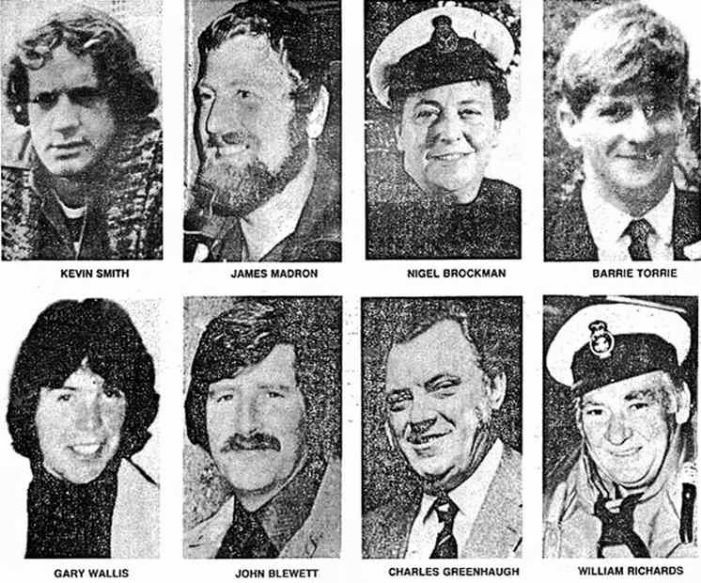 The brave lifeboat crew who left Penlee Point that night were coxswain Trevelyan Richards, 56; mechanic Stephen Madron, 35; assistant mechanic Nigel Brockman, 43; crewmen John Blewett, 43; Charlie Greenhaugh, 46; Barrie Torrie, 33; Kevin Smith, 23; and Gary Wallis, 22. That day the lifeboat crew battled against hurricane force winds and 50-foot waves to get alongside the coaster. They made run after run to try to rescue the eight crew. Reports to the Coastguard of four being successfully rescued were received and then all communication was lost. To end upon the rocky shore. There were no survivors on either vessel. The tiny community of Mousehole lost eight of its men that night, but just two days after the disaster, a new crew of volunteers had to come forward. The Union Star, a new vessel on her first voyage, had sailed with a crew of four plus the skipper Henry Morton, his wife Dawn and their two daughters, all were lost. Tonight, the 19th of December, Mousehole Christmas lights will be dimmed in memory of those who died.